As part of the REPLICATE project we now have ten Renault Zoes. Last Friday volunteers offered to help out and deliver 8 cars to the car club bays. The cars are part of the Co-wheels network and can be hired by the hour from a number of locations across Central and East Bristol. 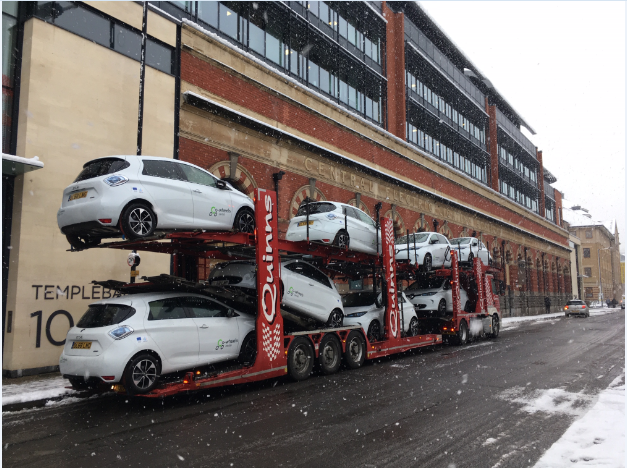 The REPLICATE project aim is to encourage the use of greener transport modes such as electric car club vehicles which will help reduce Bristol’s carbon footprint and improve air quality.